Founded in 1895, this long established 9-hole course underwent major changes since the Millennium. Having celebrated its centenary in 1995 - an ambitious expansion was undertaken. This extension came to fruition in April 2001 with the opening of the New Course of 18-holes. This changes the existing course to a certain extent and incorporated all that was natural and new in the new creation. 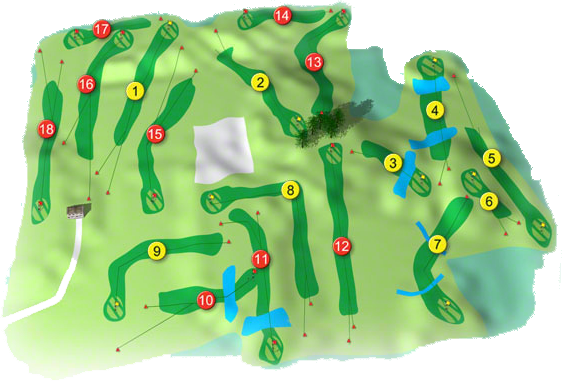 Designed by - Mel Flanagan, the rolling parkland course is a joy and a challenge to play and will test any level of golfer. Visitors are always welcome and can enjoy a round of golf at a reasonable fee. Calling All Our Golf Enthusiast's! 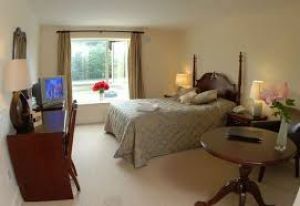 With our fantastic weekend golf break it's the perfect opportunity to escape to the Abbeyleix Hotel. Guests will enjoy: A FREE round of golf. 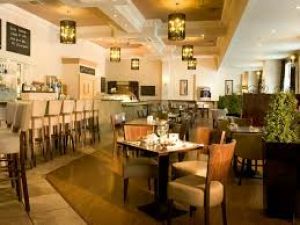 A mouth watering meal in our Manor Bar & Bistro A tasty full Irish breakfast after an undisturbed nights slumber. Simon Cahill has the distinction of winning the last Captain's Prize on the old nine-hole course at Abbeyleix and the first Captain's Prize on the new eighteen-hole course. He secured his back-to-back Captain's Prizes with a fine opening eighteen of 63 followed by a 73 on the second day which was just enough to win by a shot from Tom Molumby. Affiliation was made to the GUI in 1905 under the Captaincy of Mr R. Hampton, B.A. who was the Head Master of Preston House. The first site of the Club was probably on "The Island" between the Portlaoise and Ballyroan Roads. It is not known when the club moved to Ballymullen, but what is certain is, that the Club and its Links were based in Ballymullen in the years just prior to 1920. 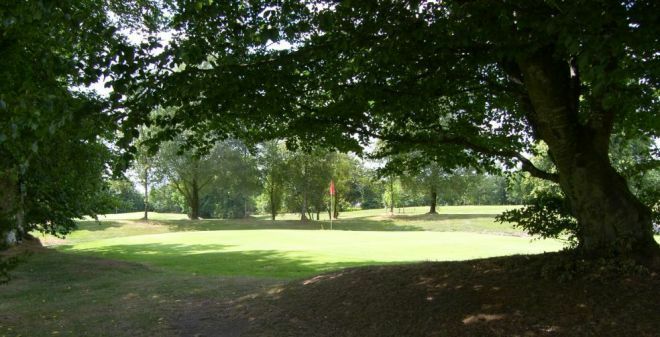 Abbeyleix Golf Club was one of three Golf Clubs in Co. Laois at the time the others being The Heath Golf Club founded in 1890 and Portarlington Golf Club founded in 1908. Green fees were charged at 2 Shillings or the equivalent of 10 cents per day. In 1921 the Club moved to Haywood, Ballinakill, Co. Laois. In 1927 the club was on the move again this time to Rathmoyle, Co. Laois. In 1932 the Club returned to its original location ay Ballymullen, and retained the site at Rathmoyle for winter golf for a short period from November 1934 to May 1935. However the Club went into decline and closed in 1937, however the Ladies had affiliated to the ILGU before it closed, the affiliation took place on 23rd September 1930. The Club was re-established on 28th May 1948 at Rathmoyle, Abbeyleix. In 1949 applied for and received a licence to sell intoxicating liquor, and some would say it never looked back. The Club retained the services of Mel Flanagan to undertake the redesign and extension to an 18-Hole course. The new course opened on 17th September and Paddy Murphy then President of the GUI officially opened the New Course. The first record of Abbeyleix Golf Club is in "The Golfing Annual" 1905-1906. Its foundation date is given as 1894, with R. Hampton as Captain and Rev. A. E. Bro, The Vicarage, Abbeyleix, as Hon. Secretary. 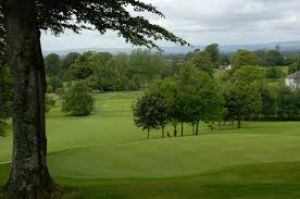 The course was a nine-hole 2,154 yd‘s, located at Ballymullen, a mile from Abbeyleix Station. In 1927 a meeting of the club decided to lay out a new course on a Mr. Weld’s land at Rathmoyle House. It seems the club went into decline during the war years and an application for re-affiliation to the GUI. In June 1949 with Rev. Edward O’Byrne, C.C., as Captain.